Municipal officials, public employees and volunteers all benefit from a clear understanding of the roles and responsibilities that come with the job. To help you stay abreast of ever-changing issues, laws, standards and best practices, The League offers a broad array of training. Our training programs address both day-to-day municipal responsibilities as well as emerging local and state issues, including workshops designed for newly elected municipal officials and administrators. We strongly encourage you to attend the League Annual Summit – our signature event and a valuable opportunity for training, collaboration and networking. In addition to in-person training opportunities, The League offers a variety of online trainings recorded at our annual PELRAS conference. Online training is free for all League members.  The League also administers several training programs and initiatives on behalf of the Pennsylvania Department of Community of Economic Development (DCED) and the Pennsylvania Department of Environmental Protection (DEP). The DCED sponsored PA Construction Codes Academy’s mission is to provide professional development to construction code officials through certification and continuing education training by offering multi-formatted sessions and operating a clearing house of information relevant to additional educational opportunities. Through a partnership with DEP, the League is able to provide energy code training to Pennsylvania’s code officials, inspectors, and other municipal officials. These energy code trainings are accredited with both the Uniform Construction Code and the International Code Council. Upcoming energy code courses are hosted through the PA Construction Codes Academy website. DCED also sponsors training for Certified Floodplain Managers and codes officials who are able to earn credits towards their respective certifications while obtaining a better understanding of the National Flood Insurance Program and the importance of floodplain management. Upcoming floodplain management courses are hosted through the PA Construction Codes Academy website. A long-standing commitment to providing basic training for municipal officials prompted DCED to turn to the League for program administration of the PA Training Hub (PATH). Courses offered through PATH are designed to keep municipal officials current on new laws and legislative requirements and enhance their ability to govern more effectively. Year-round, statewide training is provided in the areas of local government administration, finance, community and economic development, public safety, and land use and planning, and tax collection.